Crosswords and Sudoku are great games to play to sharpen your mind, learn new things, and keep yourself entertained at the same time. But sometimes, you want to go beyond what those games offer and try different things. That’s where Math Blazer comes in. 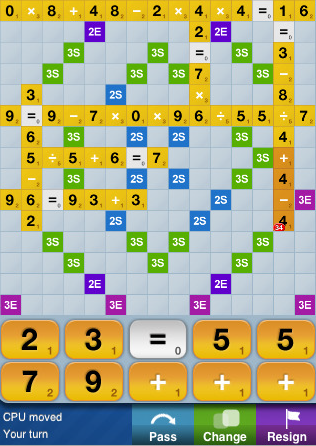 It’s an exciting math game for iPhone that involves you putting together equations and get the math operations worked out on your board. It’s essentially Sudoku meets Crosswords. Math could be a bit boring if you are not into numbers but Math Blazer can make you a fan of math. 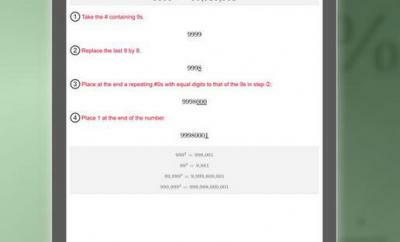 Math Blazer is pretty easy to figure out. 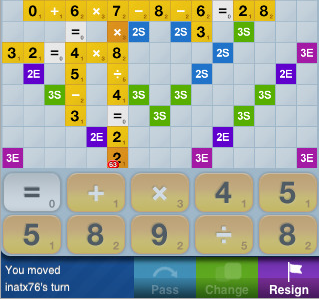 Your aim is to build mathematical operations and make the equations to work on your board. You have all the basic operators to get you going on your board. You can form equations horizontally and vertically, but the equations must be joined to the previous ones on the board (except for the first move). The game has 80 tiles and 14 numbers and symbols that you can take advantage of. There are also 5 types of bonus operations that give you the chance to pick up more points. You can choose to play against the CPU or online with other players. If you want to get a better feeling for what the game is about, a round of practice would help as well. Math seems to be a turn off for a lot of people these days. But it does not have to be. 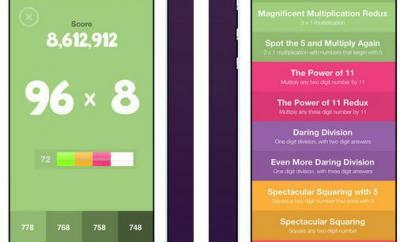 It can be quite fun and Math Blazer proves just that. 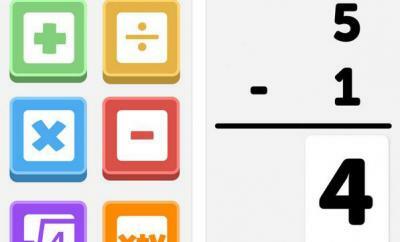 A fun, challenging math/puzzle game for iPhone.